Annual Christmas ornaments are a holiday tradition that keeps on giving each year. 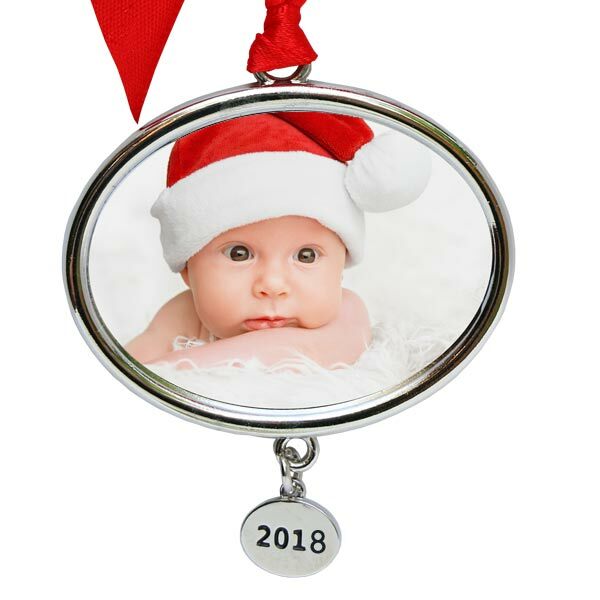 Once you create your annual ornament, you can hang it on your tree for years to come. Pick a favorite photo of yourself with your significant other. Or, find a cute picture of your pet. Then, upload your photo to MailPix! It's that simple! Make your own Christmas ornament in minutes with just a few simple steps. Each ornament includes a red ribbon which you can hang from your tree or fireplace garland for a classic holiday look. The silver frame also adds to its festive flair and is sure to catch everyone's eye at your holiday gathering! Looking for more classic holiday decor ideas? 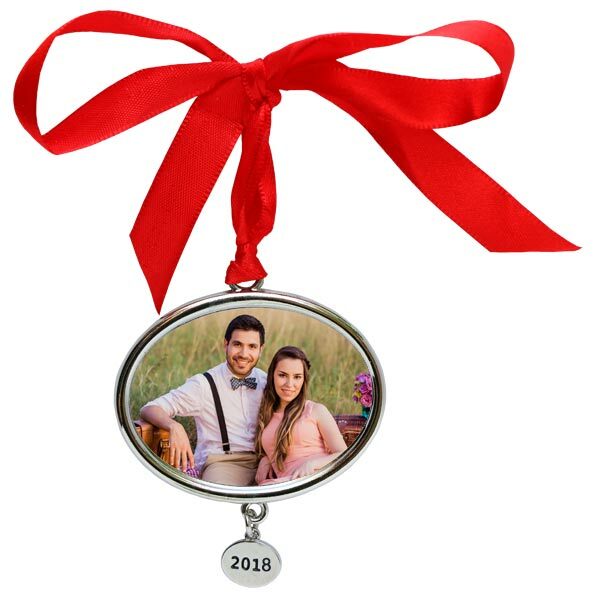 Check out our Christmas Joy ornament and our vintage aluminum Christmas ornaments. Jazz up your holiday with personalized ornaments for a heartwarming addition to your home this season.